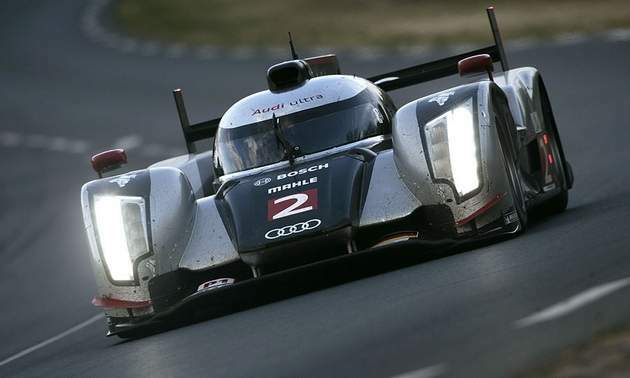 Audi claimed its 10th Le Mans 24 Hours victory in 12 years. Benoit Treluyer, Andre Lotterer and Marcel Fassler came through to claim a victory ahead of the trio of factory Peugeot 908s. So while there were a total of 56 entrants in this historic race, there were only 2 teams running diesel engines and not only were these 2 the first across the finish line again this year, over the past 12 years, ONLY diesel powered cars have won this race. The Peugeot 908 is powered by a 5.5 L (340 cu in) HDi diesel engine, the maximum size allowed by Le Mans Prototype rules. Its configuration is a 100° V12, the angle having been chosen to lower the center of gravity. Its output has been revealed to be over 730 horsepower (540 kW) and 1,200 N·m (890 ft·lbf) of torque, nearly 10% more than Audi’s similar R10 TDI. It could be the superior Audi drivers, but more likely it is the advanced Audi engine technology. This race winning technology is not just symbolic, but prophetic for the future of ground transportation. In spite of Le Mans racing rules that have made it more challenging for the entries running advanced diesel engines, these cars continue to dominate. Lotterer stopped with 55 minutes of the final hour to go, which meant fuel would be required before the checkered flag. A left-rear puncture forced the German into the pits for that stop at the same time as Pagenaud pitted. Audi sent its car out of the pits with a six-second lead to which the Peugeot on old tires could not respond. The best gasoline-powered car was the Rebellion Racing Lola-Toyota driven by Neel Jani, Nicolas Prost and Michael Bleekemolen. It battled with the works Judd-powered Pescarolo until a puncture dropped it two laps behind in the 22nd hour, but regained the advantage when Emmanuel Collard crashed the Pescarolo in the Porsche Curves during the rain. The LMP2 class was won by the British Greaves Motorsport squad, whose Nissan-engined Zytek had a trouble-free run in the hands of Tom Kimber-Smith, Olivier Lombard and Karim Ojjeh. It finished six laps on the Signatech ORECA Nissan, which was delayed by two time-consuming punctures. Corvette Racing won the GTE Pro class with Tommy Milner, Olivier Beretta and Antonio Garcia. It overcame the ailing AF Corse Ferrari 458, which had electronic problems, in the closing stages to claim the victory that had appeared to be in the grip of the sister Chevrolet Corvette for most of the race. It makes us wonder when Corvette will finally embrace a diesel engine so they can be competitive again … on the Le Mans circuit and on the street. … diesel powered cars have won the Le Mans 24 Hours for 12 years running and they are winning on the street – embrace our best solution to reduce petroleum consumption, reduce emissions and get off of OPEC petroleum.